The hostel is close to city centre. The staff is fun, receptive and helpful. Breakfast is excellent. 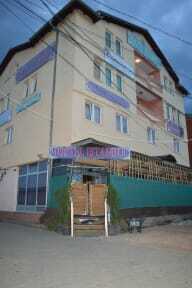 I would recommend this hostel for short term and longer term stay in Prishtina. The owner is so nice and willing to help you plan any outlandish scheme you might have. The owner was amazing, he worked very hard to make us comfortable, making us breakfast even outside breakfast hours, and driving us to the bus station himself. The location is good, it's definitely more of a hotel than a hostel though. Unfortunately the bathrooms weren't cleaned at all during our visit, we even had to buy our own toilet paper. If the bathrooms weren't so bad we'd give this a much higher rating. Love the owner though! 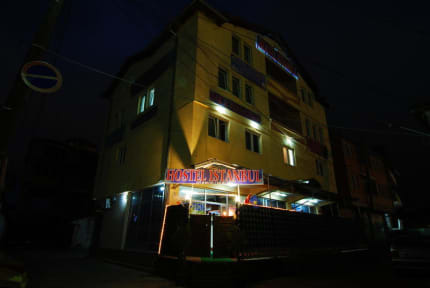 I really would like to give this hostel a good rating: The location is perfect, the owner is super nice and accommodating. Great freshly made breakfast in the morning. Bathrooms weren't the cleanest, but I've seen worse. Private room seemed very nice on the first glance spacious, spacious with a little table, mirror and large bed. Unfortunately we got bites the first night and after closing all the windows and inspecting the room the second night, we discovered bed bugs. Every visitor wrote good comment but when I and my friend went to this place which is so cold and we was freezing all night. I don't recommend this place.